Great colour btw, although I prefer the less cluttered rear (no high/third brake light) and the Black Script on the C2. Was the slate grey available on the wide body or was it PTS? If I'd had a choice it would be Iris Blue - whatever colour, the is no better rear end view! Slate Grey on the widebody does look good. 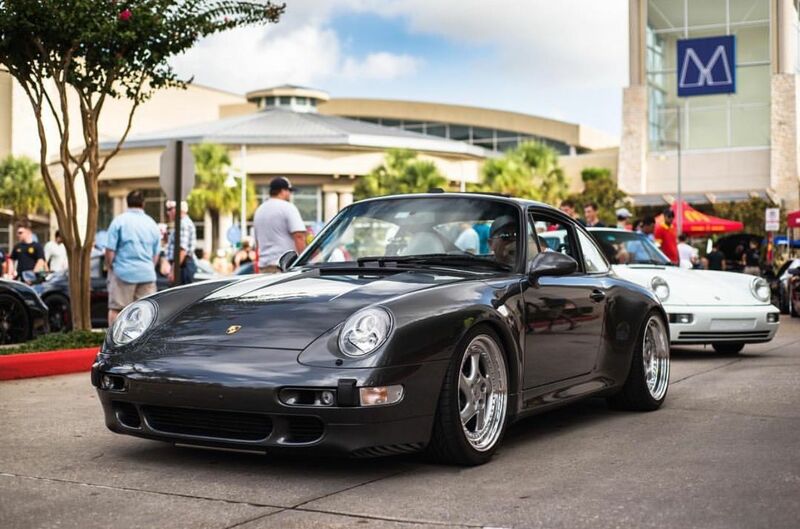 Peter Morgan's 911 book states Slate Grey was a special-order colour in 1995 only. So after that PTS. Paternie's Porsche 911 Red Book mirrors this: R and S programme cars have Slate as an option, T and V do not. This is a great little book. As I might have mentioned before... Slate Grey was often specced up by Porsche Cars GB for early press and directors' cars. 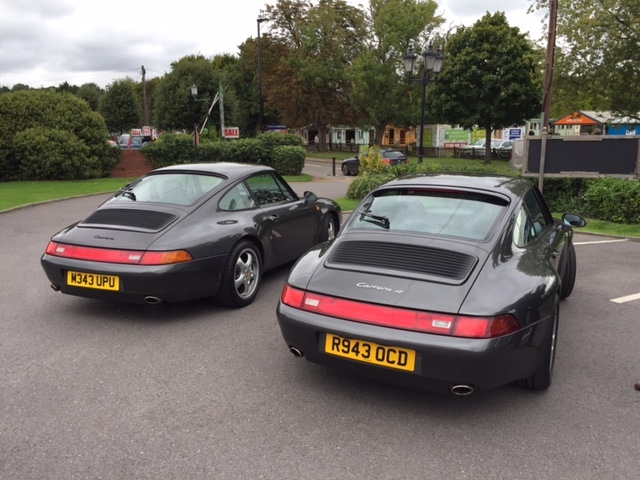 Love Slate Grey on the early 911's, well, I've no idea what precise year they started doing Slate Grey? Nice looking cars in the first pic. these don't come up often! Slate with Black/Marble is a cracking combo and that car would look stunning on some body coloured splits. Looks Slate to me - sloppy not to get it right. Seats the early 964 ones or my eyes? Seats the early 964 ones or my eyes? Seats are standard 993 Comforts in Marble Grey. Portiacraft car sold quickly. C2 Manual in a good colour, spec and realistic price was never going to hang around long.